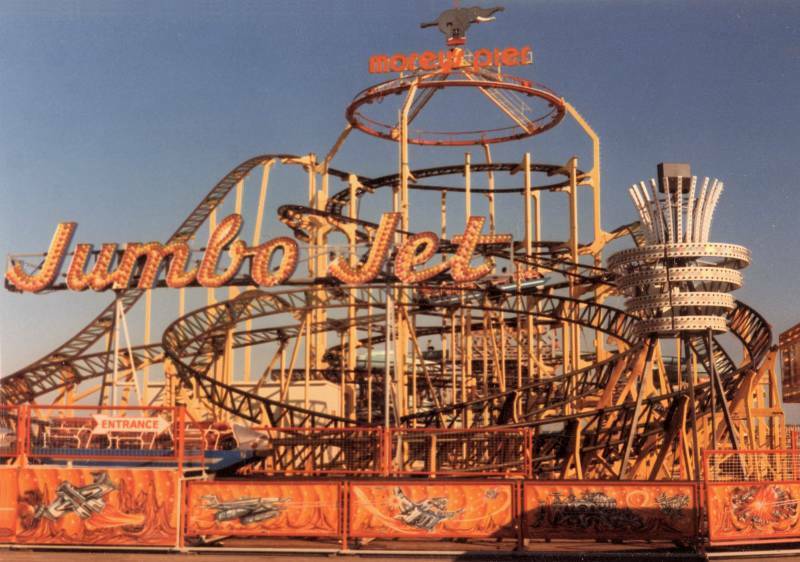 Morey’s Piers had a Jumbo Jet from 1976 to 1987 (Yellow with a Green track) and it is now listed as “Defunct”. I came across this old B&W photo and just had to post it! Wonder what happened to this Jumbo Jet? Now that’s a very “70ish” looking Jumbo Jet. 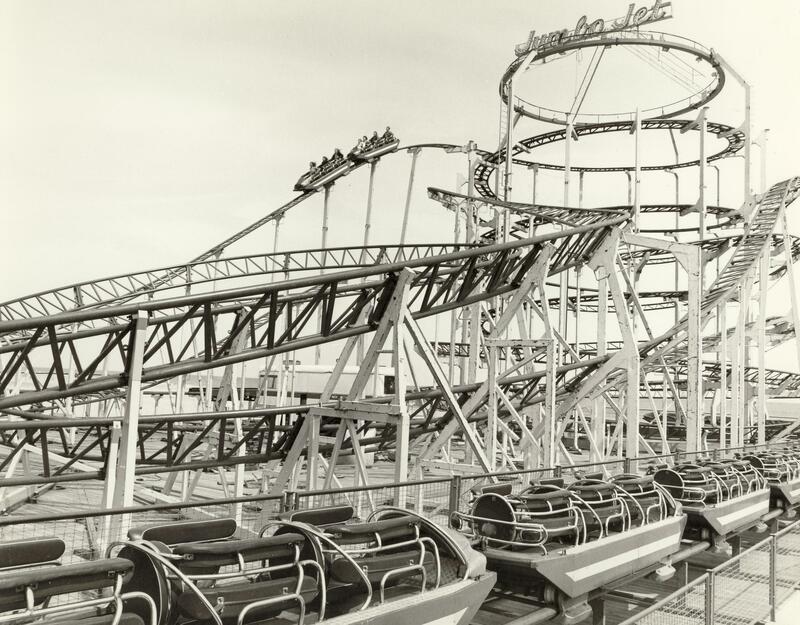 I can now understand why Cedar Point never got the deluxe model it was just plain gaudy, but none less I would ride it, if it was still standing. Let’s RIde!